Designed especially for concert orchestras. Double lip provides convenient storage for bows, rosin, pencils, reeds, valve oil, and more. 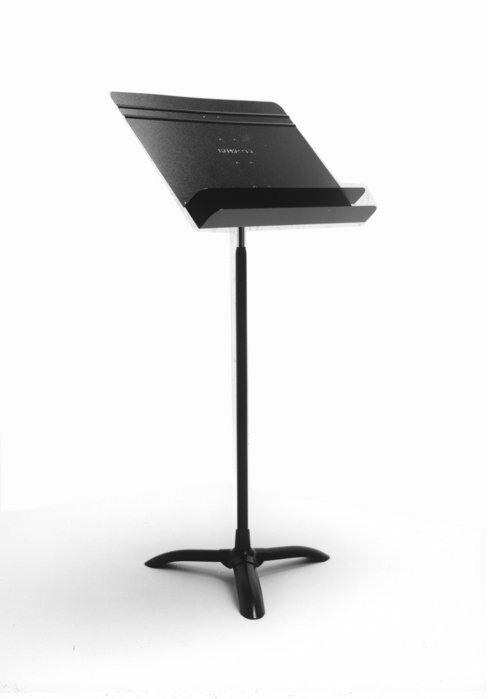 The vertical extension and desk dimensions are identical to the Symphony Stand with the addition of the second lip. is an industry standard by which other music stands are judged. The Magic-Finger Clutch permits height adjustments from 28 to 50. Contact us for educator and bulk pricing.